The llama ( /ˈlɑːmə/ ; Spanish: [ˈʝama] locally [ˈʎama] or [ˈʒama] ) ( Lama glama ) is a domesticated South American camelid , widely used as a meat and pack animal by Andean cultures since the Pre-Columbian era . 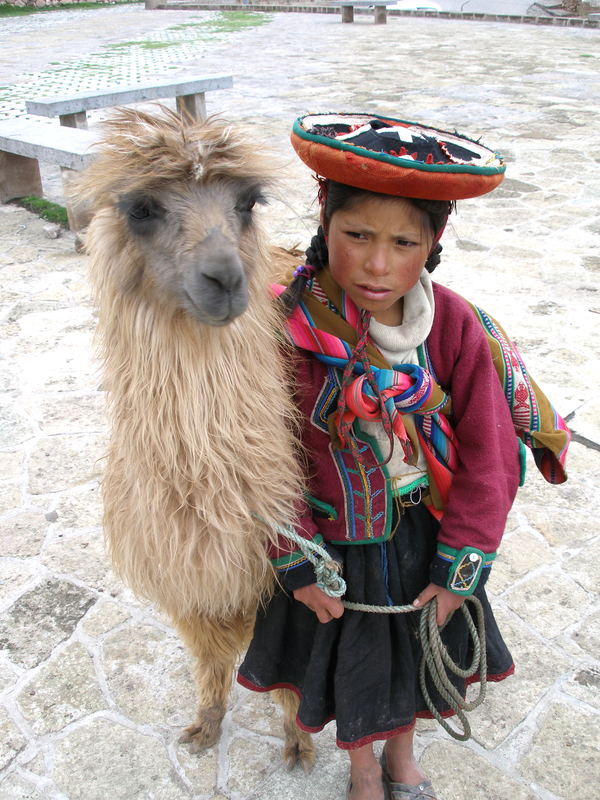 The name llama (in the past also spelled 'lama' or 'glama') was adopted by European settlers from native Peruvians . 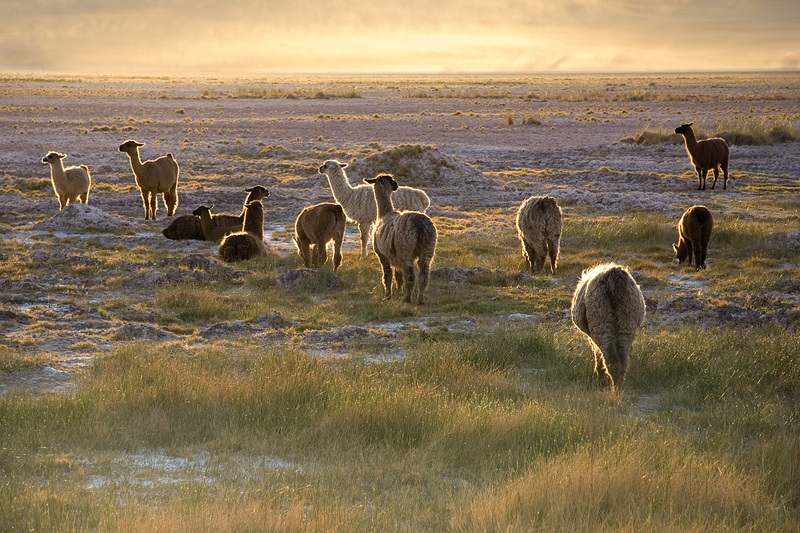 Lamoids, or llamas (as they are more generally known as a group), consist of the vicuña ( Vicugna vicugna , prev. 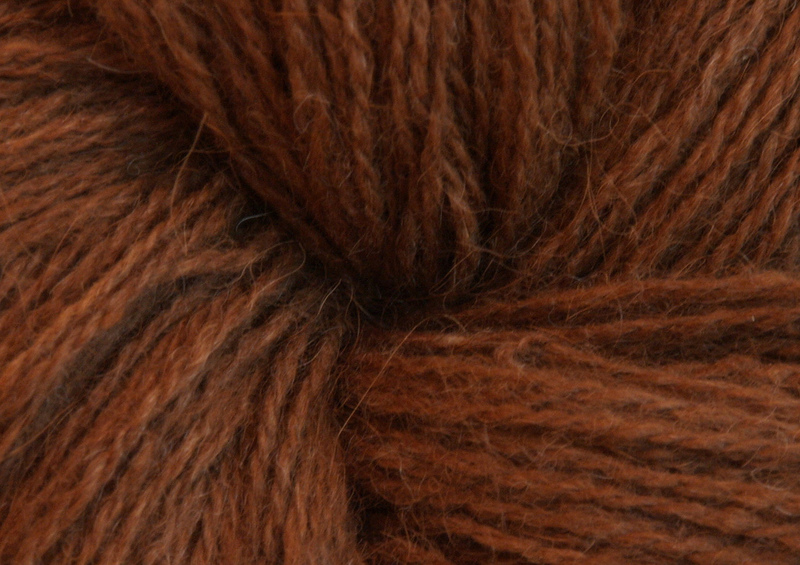 Lama vicugna ), guanaco ( Lama guanicoe ), Suri alpaca , and Huacaya alpaca ( Vicugna pacos , prev. Lama guanicoe pacos ), and the domestic llama ( Lama glama ). Guanacos and vicuñas live in the wild, while alpacas – as well as llamas – exist only as domesticated animals. 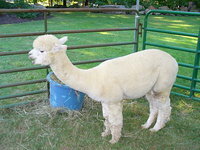 Although early writers compared llamas to sheep , their similarity to the camel was soon recognized. They were included in the genus Camelus along with alpaca in the Systema Naturae ( 1758 ) of Carl Linnaeus . They were, however, separated by Georges Cuvier in 1800 under the name of lama along with the guanaco . Alpacas and vicuñas are in genus Vicugna . 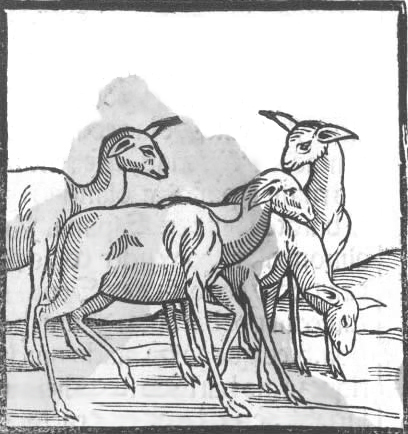 The genera Lama and Vicugna are, with the two species of true camels, the sole existing representatives of a very distinct section of the Artiodactyla or even-toed ungulates, called Tylopoda , or "bump-footed", from the peculiar bumps on the soles of their feet. The Tylopoda consist of a single family, the Camelidae, and shares the order Artiodactyla with the Suina ( pigs ), the Tragulina ( chevrotains ), the Pecora ( ruminants ), and the Whippomorpha ( hippos and cetaceans , which belong to Artiodactyla from a cladistic , if not traditional, standpoint). The Tylopoda have more or less affinity to each of the sister taxa , standing in some respects in a middle position between them, sharing some characteristics from each, but in others showing special modifications not found in any of the other taxa. The 19th-century discoveries of a vast and previously unexpected extinct Paleogene fauna of North America, as interpreted by paleontologists Joseph Leidy , Edward Drinker Cope , and Othniel Charles Marsh , aided understanding of the early history of this family. Llamas were not always confined to South America ; abundant llama-like remains were found in Pleistocene deposits in the Rocky Mountains and in Central America . Some of the fossil llamas were much larger than current forms. Some species remained in North America during the last ice ages. 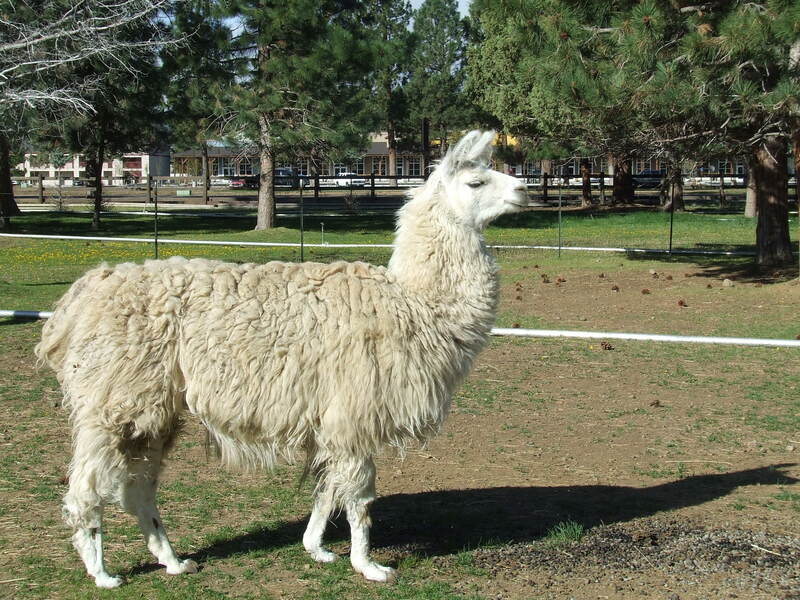 North American llamas are categorized as a single extinct genus, Hemiauchenia . Llama-like animals would have been a common sight 25,000 years ago, in modern-day California , Texas , New Mexico , Utah , Missouri , and Florida . The following characteristics apply especially to llamas. Dentition of adults:-incisors 1/3 canines 1/1, premolars 2/2, molars 3/2; total 32. In the upper jaw, a compressed, sharp, pointed laniariform incisor near the hinder edge of the premaxilla is followed in the male at least by a moderate-sized, pointed, curved true canine in the anterior part of the maxilla. The isolated canine-like premolar that follows in the camels is not present. The teeth of the molar series, which are in contact with each other, consist of two very small premolars (the first almost rudimentary) and three broad molars , constructed generally like those of Camelus . In the lower jaw, the three incisors are long, spatulate, and procumbent; the outer ones are the smallest. Next to these is a curved, suberect canine, followed after an interval by an isolated minute and often deciduous simple conical premolar; then a contiguous series of one premolar and three molars, which differ from those of Camelus in having a small accessory column at the anterior outer edge. The skull generally resembles that of Camelus , the larger brain-cavity and orbits and less-developed cranial ridges being due to its smaller size. The nasal bones are shorter and broader, and are joined by the premaxilla. In essential structural characteristics, as well as in general appearance and habits, all the animals of this genus very closely resemble each other, so whether they should be considered as belonging to one, two, or more species is a matter of controversy among naturalists . The llama and alpaca are only known in the domestic state, and are variable in size and of many colors, being often white, brown, or piebald. Some are grey or black. The guanaco and vicuña are wild, the former being endangered, and of a nearly uniform light-brown color, passing into white below. They certainly differ from each other, the vicuña being smaller, more slender in its proportions, and having a shorter head than the guanaco. The vicuña lives in herds on the bleak and elevated parts of the mountain range bordering the region of perpetual snow, amidst rocks and precipices, occurring in various suitable localities throughout Peru , in the southern part of Ecuador , and as far south as the middle of Bolivia . Its manners very much resemble those of the chamois of the European Alps ; it is as vigilant, wild, and timid. 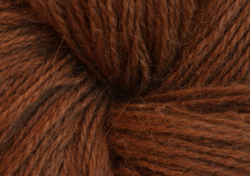 The fiber is extremely delicate and soft, and highly valued for the purposes of weaving, but the quantity that each animal produces is minimal. 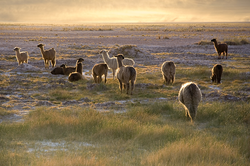 Alpacas are descended from wild vicuna ancestors, while domesticated llamas are descended from wild guanaco ancestors, though a considerable amount of hybridization between the two species has occurred. Llamas are ruminants. This means that they have a complex stomach with several compartments that allows them to consume lower quality, high cellulose foods. The stomach compartments allow for fermentation of tough food stuffs, followed by regurgitation and re-chewing. 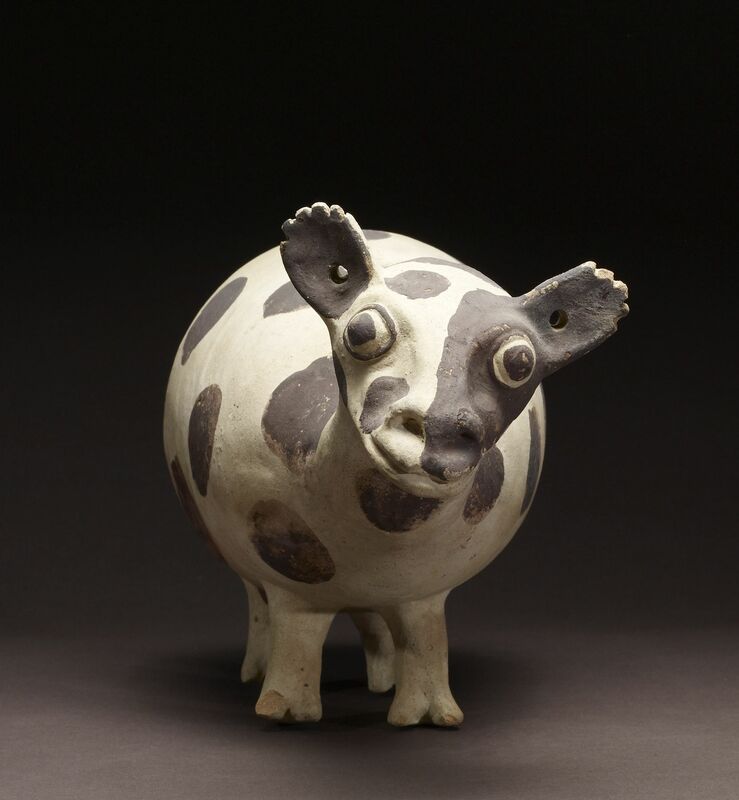 Unlike other ruminants who have four compartments (cows, sheep, goats), llamas have only three stomach compartments: the rumen, omasum, and abomasum. In harem mating , the male is left with females most of the year. 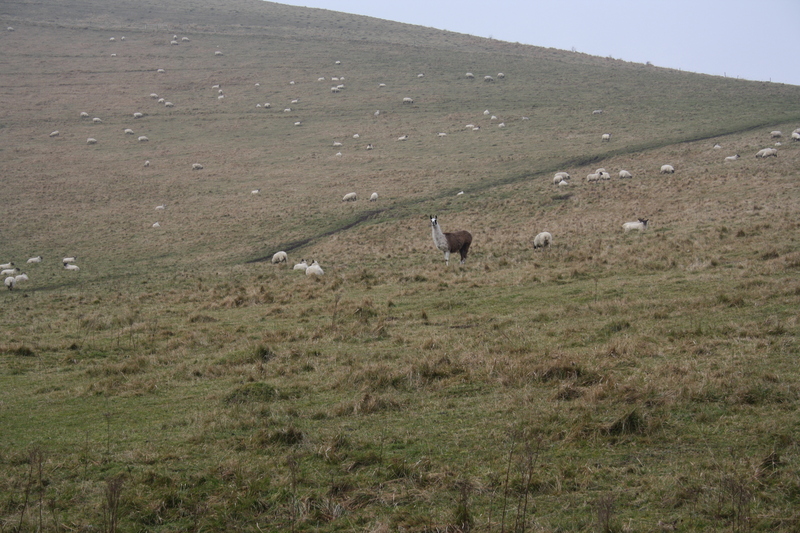 For field mating , a female is turned out into a field with a male llama and left there for some period of time. This is the easiest method in terms of labor, but the least useful in terms of prediction of a likely birth date. An ultrasound test can be performed, and together with the exposure dates, a better idea of when the cria is expected can be determined. Hand mating is the most efficient method, but requires the most work on the part of the human involved. A male and female llama are put into the same pen and mating is monitored. They are then separated and remated every other day until one or the other refuses the mating. Usually, one can get in two matings using this method, though some stud males routinely refuse to mate a female more than once. The separation presumably helps to keep the sperm count high for each mating and also helps to keep the condition of the female llama's reproductive tract more sound. If the mating is not successful within two to three weeks, the female is mated again. Estimated daily requirements of bromgrass hay, alfalfa hay and corn silage on an as-fed and 100% dry matter basis for llamas from 22 to 550 pounds. Llamas, which are well-socialized and trained to halter and lead after weaning , are very friendly and pleasant to be around. They are extremely curious and most will approach people easily. However, llamas that are bottle-fed or over-socialized and over-handled as youth will become extremely difficult to handle when mature, when they will begin to treat humans as they treat each other, which is characterized by bouts of spitting, kicking and neck wrestling. Using llamas as livestock guards in North America began in the early 1980s, and some sheep producers have used llamas successfully since then. They are used most commonly in the western regions of the United States , where larger predators, such as coyotes and feral dogs, are prevalent. Typically, a single gelding (castrated male) is used. Research suggests the use of multiple guard llamas is not as effective as one. 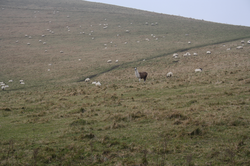 Multiple males tend to bond with one another, rather than with the livestock, and may ignore the flock. A gelded male of two years of age bonds closely with its new charges and is instinctively very effective in preventing predation. 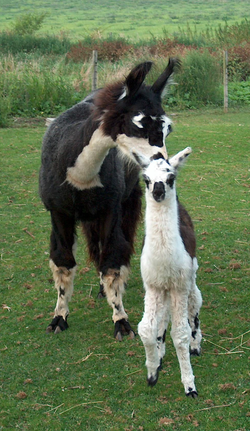 Some llamas appear to bond more quickly to sheep or goats if they are introduced just prior to lambing . Many sheep and goat producers indicate a special bond quickly develops between lambs and their guard llama and the llama is particularly protective of the lambs.
. Nose-n-Toes. 25 June 2007.
. Llamas of Atlanta. 25 June 2007.
. Twin Creeks Llamas. 25 June 2007.
. Oklahoma State University . 25 June 2007. Oxford English Dictionary, 2nd edition, " llama "
South Central Llama Association (22 January 2009). .
Perry, Roger (1977). Wonders of Llamas . Dodd, Mead & Company. p. 7. ISBN 0-396-07460-X. Murray E. Fowler (1998). . Wiley-Blackwell. p. 1. ISBN 0-8138-0397-7.
. Integrated Taxonomic Information System . Retrieved 5 January 2013 . Kurtén, Björn; Anderson, Elaine (1980). Pleistocene Mammals of North America . New York: Columbia University Press. p. 307. ISBN 0231037333. Grayson, Donald K. (1991). "Late Pleistocene mammalian extinctions in North America: Taxonomy, chronology, and explanations". Journal of World Prehistory . Springer Netherlands. 5 (3): 193–231. doi :. Greta Stamberg & Derek Wilson (12 April 2007). . Llamapaedia . Archived from on 12 April 2007. L. W. Johnson (17 April 2007). . College of Veterinary Medicine and Biomedical Sciences, Colorado State University , Fort Collins . National Library of Medicine and the National Institutes of Health. Chris Cebra; David E. Anderson; Ahmed Tibary; Robert J. Van Saun; LaRue Willard Johnson (15 February 2014). . Elsevier Health Sciences. ISBN 978-0-323-24291-2.
. LlamaWeb . 17 April 2007. Archived from on 3 March 2007. The Department of Veterninary Clinical Sciences at Ohio State University (2002). Camelid Medicine, Surgery, and Reproduction for Veterinarians . Part II. Long, Patrick O. (1996). Llama & Alpaca Neonatal Care . p. 112. ISBN 0-9646618-3-7. Birutta, Gale (1997). A Guide to Raising Llamas . p. 327. ISBN 0-88266-954-0. Linda March. . University of Illinois , College of Veterinary Medicine . Retrieved 15 May 2009 . Randy Sell (17 April 2007). . Department of Agricultural Economics, North Dakota State University . Murray E. Fowler, DVM (1989). "Medicine and Surgery of South American Camelids; Llama, Alpaca, Vicuña, Guanaco". Iowa State University Press. Greta Stamberg & Derek Wilson (2 September 1997). . Llamapedia . Archived from on 15 October 2006. Brian and Jane Pinkerton (17 May 2008). . Humm Page . Archived from on 9 May 2008.
International Llama Association. (1995). "Guard Llamas." ILA Educational Brochure No. 2. Walker, Cameron. "" National Geographic , 10 June 2003.
. The Walters Art Museum . 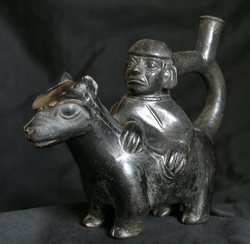 Berrin, Katherine & Larco Museum . The Spirit of Ancient Peru:Treasures from the Museo Arqueológico Rafael Larco Herrera. New York: Thames & Hudson , 1997 ISBN 0-500-01802-2.
. Inca culture . 10 October 2006. D'Altroy, Terence N. (2002). "The Inca Pantheon". The Incas . The People of America. Oxford : Blackwell Publishing . p. 149. ISBN 978-0-631-17677-0. Anning, Caroline. (2011-05-22) . BBC.co.uk. Retrieved on 2011-08-21. Jared Diamond (12 April 2007). . PBS . Juan Bautista Ignacio Molina (1808). . II . pp. 15–16 . Retrieved 22 August 2011 . Beula Williams (17 April 2007). . International Llama Association . All information for Llama's wiki comes from the below links. Any source is valid, including Twitter, Facebook, Instagram, and LinkedIn. Pictures, videos, biodata, and files relating to Llama are also acceptable encyclopedic sources. "Guns, Germs & Steel. The Show: Episode Two"
"Information Resources on the South American Camelids: Llamas, Alpacas, Guanacos, and Vicunas 1943–2006"
Guard Llamas Keep Sheep Safe From Coyotes. "Guns, Germs & Steel. 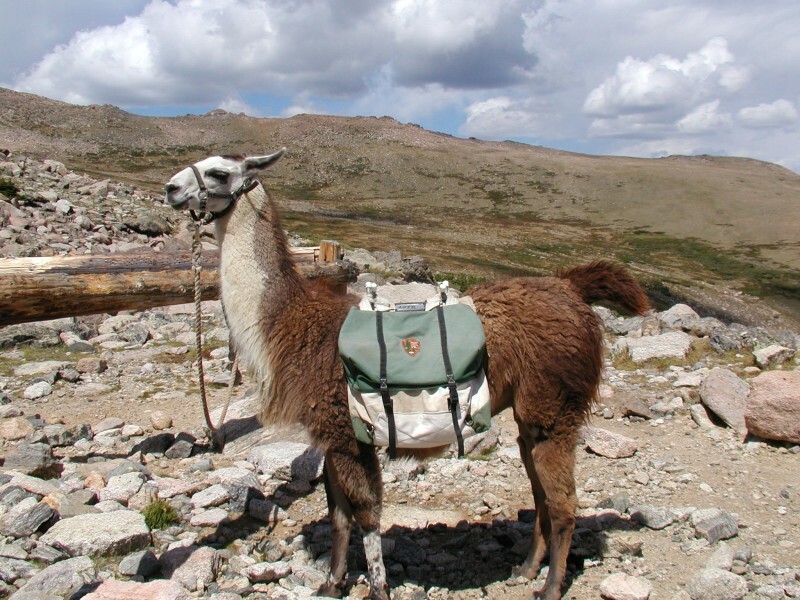 The story of ... Llamas"
"Guard Llamas: An Alternative for Effective Predator Management"
"Llamas: A Different Kind of Pet"
Other wiki pages related to Llama.